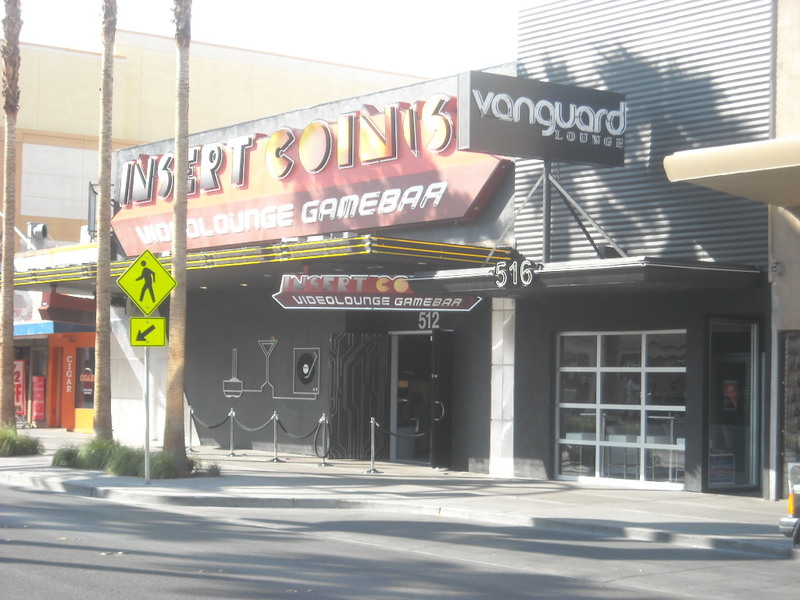 There is a new night spot on Fremont Street in Downtown Las Vegas. It is located in the block just east of Las Vegas Blvd. It is called Insert Coin. It's name is a reference to inserting a coin in a video game. This is a grown up Las Vegas version of a Video arcade. The setting is lounge like. With comfortable niches where video game monitors swivel to face cove like seating for the players. Drinking is an added attraction to the arcade experience and the dance floor and DJ weave in a club like feeling. Certainly an interesting blend of experiences.